Dental implants save your teeth and cost less in the long run. Traditional bridges require grinding down perfectly good teeth. The ground teeth are compromised and eventually fail, and a partial is necessary to fill the gap left behind. The partial puts strain on other teeth, which also eventually fail, resulting in the need for a denture. Stop destroying good teeth. Traditional methods that require repeat trips to the dentist and repeat financial expenditure are outdated. Dental implants are the new standard in tooth replacement. Traditional dentures are no longer the only option. 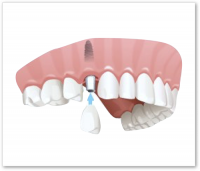 Traditional dentures are held in place by combination of suction and sealing paste. This requires an acrylic plate that covers the upper pallet. It is uncomfortable, often slips, and interferes with the taste of food. 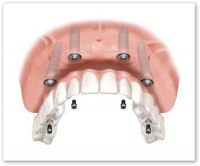 In contrast, snap-in dentures are held firmly in place by secure implants. This eliminates the need for the plate that covers the upper pallet. Not only does this restore the enjoyment of food, but it eliminates the anxiety of dentures slipping or ejecting. A Hybrid Bridge can reverse even the worst dental case in ONE DAY. If you desire full restoration of your youth, beauty, ability to enjoy food, and a return to a carefree lifestyle, a Hybrid Bridge will change your life. Dentures only have twenty percent bite force, but a hybrid bridge has over ninety percent and allows a return to a normal healthy diet. Not only do they look like beautiful natural teeth, they even FEEL like your natural teeth. No more leaving your teeth in a jar at night. To clean them, just brush your teeth! A hybrid bridge is the closest thing to perfect natural teeth. 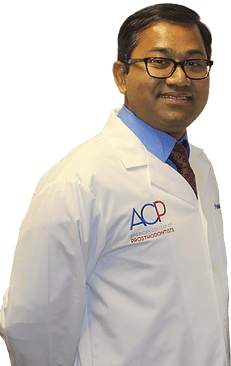 Dr. Zaman has the exceptional privilege of being trained in three dental specialties: Oral Surgery, Prosthodontics and Periodontics. As a Prosthodontist, Dr. Zaman is exceptionally qualified in the art and science of making teeth look completely natural, and perfectly match existing teeth. This involves color gradients, translucency, size, shape and symmetry. 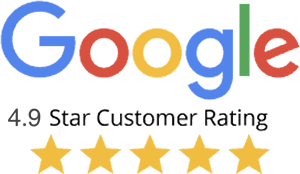 Our patients do not want people to say they have nice dental work, they want people to say they have naturally beautiful teeth! 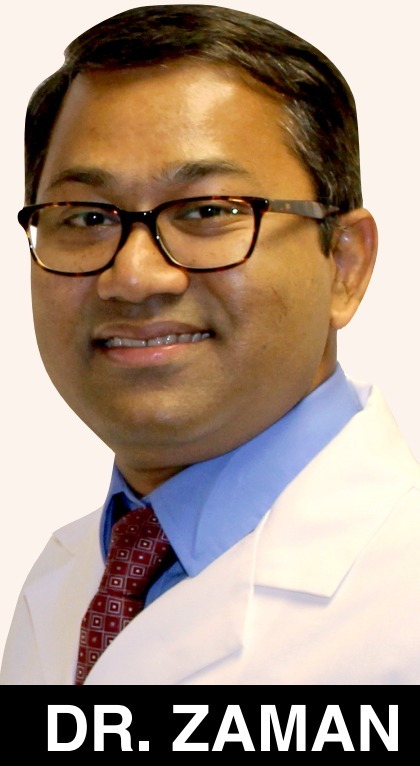 Dr. Zaman holds a faculty position in Post Graduate Prosthodontics at Nova Southeastern University. His special interests are in aesthetic full-mouth reconstruction and complex dental implant surgical procedures. He has been published in the “International Journal of Oral & Maxillofacial Surgery”. With the loss of a teeth and their supporting roots, the jawbone starts to shrink. 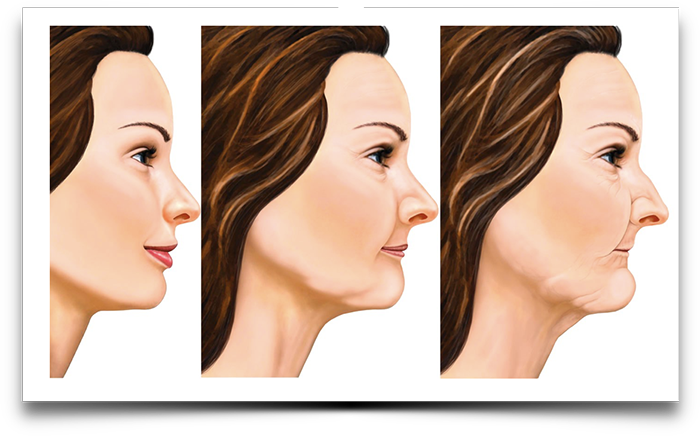 This impacts not only your smile, but also alters the shape of the jawline and the entire face. When the jaw and gum recedes, a person may appear much older than they actually are. 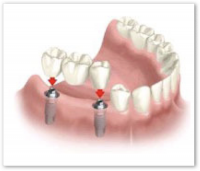 Dental Implants take the place of missing teeth and preserve the natural jawline and youthful appearance. 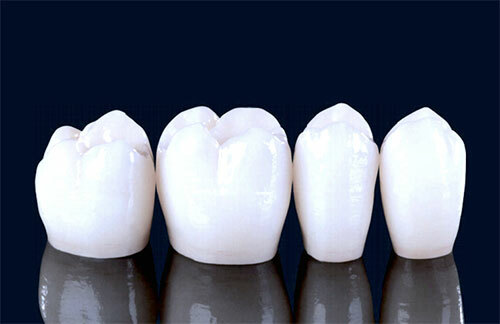 Zirconia is one of the hardest materials available, and is the perfect material to create permanent, beautiful teeth. In fact, its’ even stronger than your natural teeth. Zirconia is so perfect in appearance it is virtually impossible to tell the difference between Zirconia teeth and real teeth. I highly recommend Dr. Zaman and his staff for dental implants. I am so thankful for such a beautiful work done in the most careful and comfortable atmosphere. Schedule your consultation with Dr. Zaman today for the beautiful, natural smile you deserve.